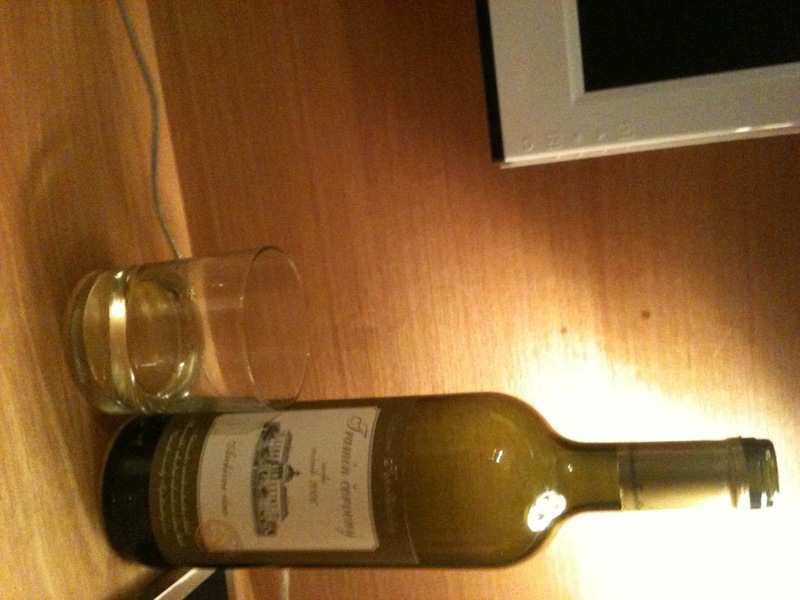 Wine: I am in the process of moving to Athens and stopped off for two days of business in Bratislava. I decided to try some Slovak wine. I went to the Tesco at the My Bratislava shopping center and found an excellent selection of Slovak and Czech wines at varying price points. Since I am predisposed to drink red wine, I decided to try a white, a Tramin Cerveny 2006 by Chateau Topolciansky of Slovakia. Tramin, also known as Traminer or Gewurztraminer, is one of my favorite Eastern European whites. Tasting: It was a wine tasting for this review. My second tasting was with pizza. Results: The Tramin Cerveny is nice. I would describe it as fruity and spicy. There were tastes of grapefruit and banana. I would have preferred the wine to be a bit drier and more flowery but it is enjoyable. 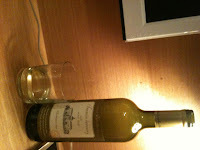 (The Tramin is not as crisp or complex as the Traminer Rezerva by Chateau Vartely of Moldova.) Chateau Topolcianky's Tramin has a pleasantly acidic aftertaste that lingers specifically on the tongue yet is a gentle wine. The wine's color is a deeper yellow than I expected but has good clarity and a stronger than expected aroma. Rating: Drinkable+ to Good. When I went to the hotel bar to ask for a corkscrew, the waiter looked at the wine's label and smiled assuredly at me. Price Value: For 5 Euros a bottle, it's a good value.